I don't know if Ireally like this wallpaper of not! The main spiral part of the BG was the trickiest part to make only because it kind of hard to cut out pieces in a spiral direction :P I also added a shadow type brush around the sdges of the spiral to give a darker feel! I then added all the other misc stuff and did some small twinkle stars here and there and last added the character & made her eyes blue. the backround is also awesom ty for posting it! cool.. i love the color combination.. 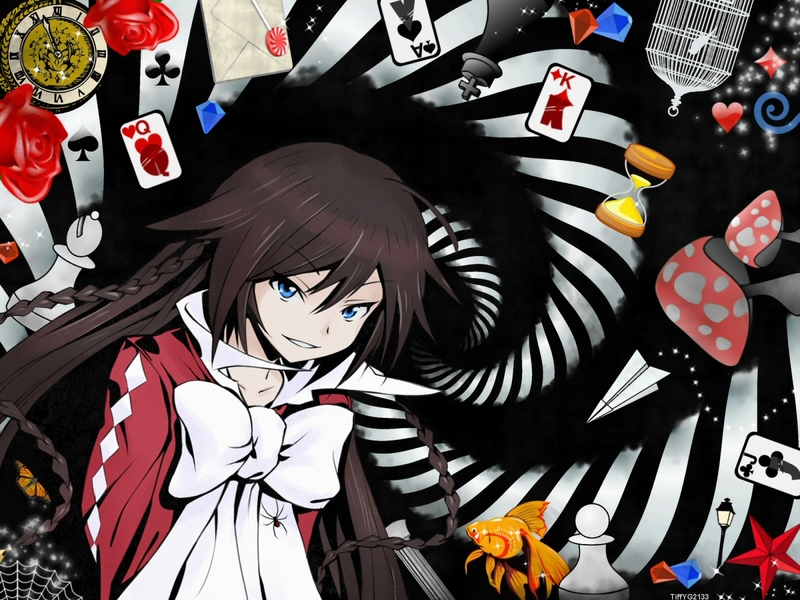 I love Alice with this psycho look on her face. Great choice for the background.